World class celebrities are known for their ostentatious and posh tastes in everything, especially when it comes to their lavish homes. 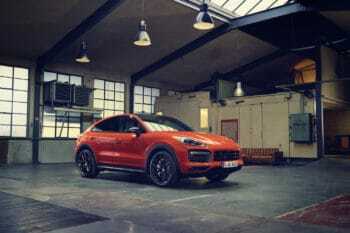 While most people can only dream of a yacht cruise in the Caribbean or supercars from Lamborghini, Bugatti, Ferrari or Rolls Royce, for most celebrities these are a given. 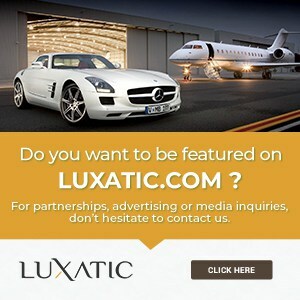 So it’s no wonder that they get stolen away by this extravagant lifestyle and choose to live in a high-end home – or more – instead of your regular house with the usual furniture and appliances that everybody else has access to. But as we know, there are different levels to anything, and that applies as well to celebrities and their top notch homes. 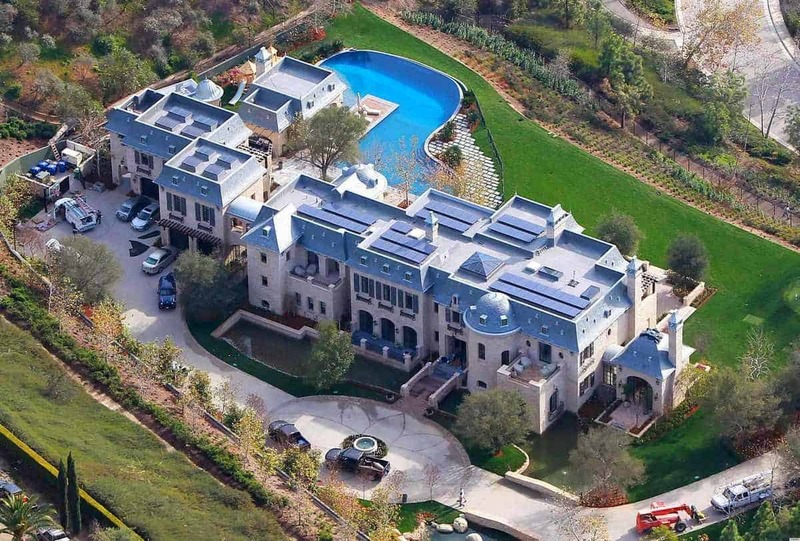 Keep on reading to find out about the 15 most incredible celebrity homes. Constructed in 2014, P. Diddy’s family home is a two story European style villa in Holmby Hills, California. 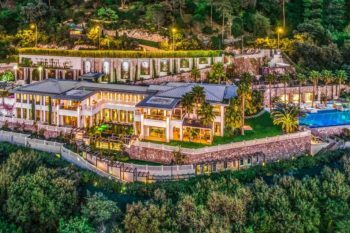 The house features 8 bedrooms, 11 bathrooms, the unmissable gym, a wine cellar, a theater which can host up to 35 guests and an impressive underwater tunnel which leads to a grotto and lagoon style pool. There’s as well a guest house, which includes a spa area, complete with a private beauty salon, massage room and steam room. 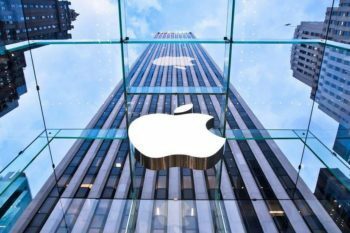 The property’s price rises to $40 million. 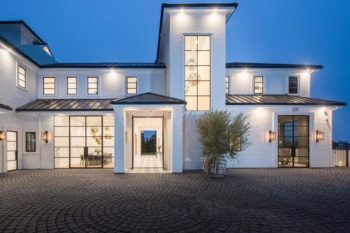 Previously owned by Gisele Bundchen and Tom Brady, this 14,000 square feet property in Brentwood, CA, was purchased by Dr. Dre for a whooping $40 million. But the estate’s huge infinity pool overlooking the Pacific Ocean makes it more than worth the price. The home features 5 bedrooms, a chef kitchen, a stunning master bathroom, gym and plenty of relaxation areas. Outside, there’s a moat, an outdoor bathtub, poolside cabana, an outdoor kitchen that doesn’t miss anything. 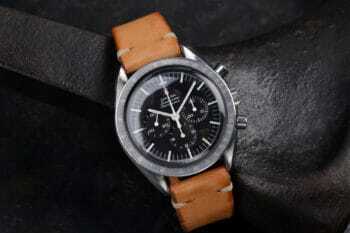 An interesting detail is that the interior was build mainly from antique materials. Will and Jada Pinkett have built themselves a custom spectacular home in Malibu, CA. The home spreads on no less than 25,000 square feet and was constructed completely by hand, which is quite a feat. 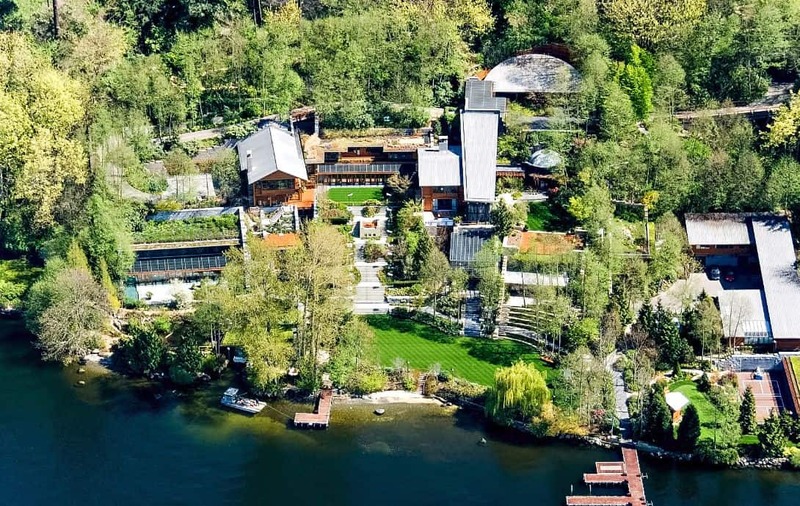 There are 9 bedrooms, a meditation room, a recording studio, secret nooks, a full basketball court and a huge pool which looks more like a pond. A separate tennis court, three golf courses, a large pasture and lake and gazebo make the house seem more like a relaxation resort than a real home. The price they paid for it was a good $42 million. 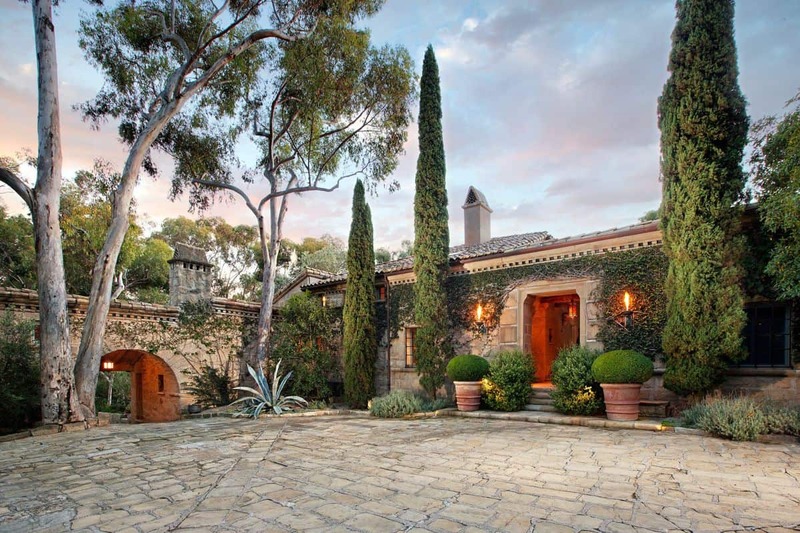 Ellen DeGeneres owns a superb $45 million estate in Santa Barbara, spanning across 17 acres with picturesque sights of the Pacific and the mountains. It’s known as ‘The Villa’, and it originates back in 1930. The home includes 6 bedrooms and 6 bathrooms, an 850 square feet living room with 18th century Italian tile floors, fireplace and library. The outdoor part of the property feature gardens and fountains, a pool, tennis court and outdoor kitchen with pizza oven. Demi Moore used to own this triplex in New York City, a 7,000 square feet ‘floating mansion’ that overlooks Central Park. The penthouse features 6 bedrooms and 5 and a half bathrooms, a projection room, plaster ceiling moldings, a lovely fireplace with turquoise tiles and a stunning wrap around stone terrace that makes the price of $45 million seem acceptable. 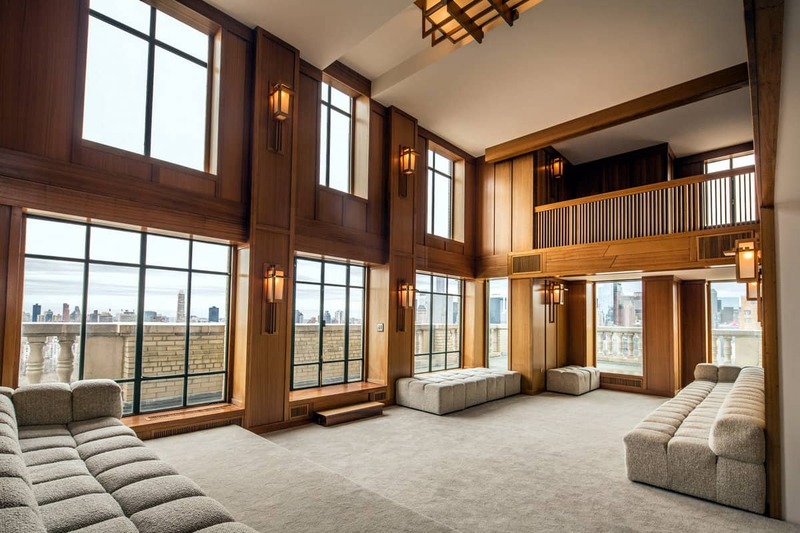 If Demi Moore’s penthouse was impressive, the one owned by Sting is even more stunning. It’s located in the renowned 15 Central Park West building, has only 5,417 square feet of space, but the 43 feet of Central Park frontage makes it worth every penny. On top of that, there’s a superb living with open fireplace, floor to ceiling windows to enjoy the stunning sights, dual spa bathrooms and a sauna in the master bedroom for complete relaxation. The penthouse features high end appliances, a fitness center, steam room and sky lit lap pool, and even a private restaurant. 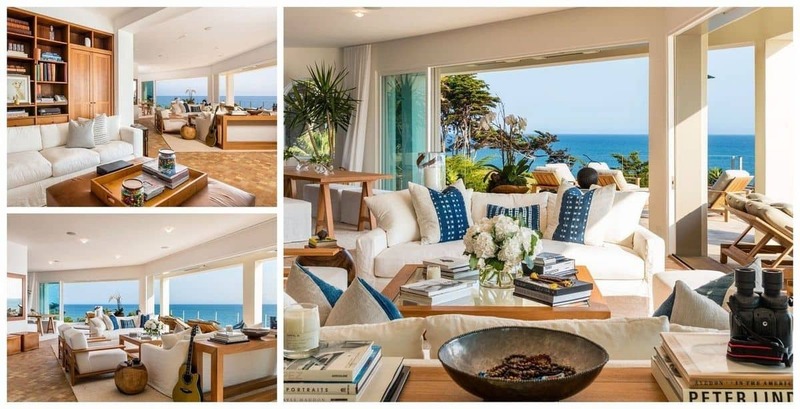 Cindy Crawford is the happy owner of a superb $50 million beachfront estate in Malibu, overlooking the Pacific Ocean. It’s a 4 bedroom, 5 and a half bathroom home, built in the Hacienda style in 1944. Renovated recently, the house features sliding glass doors and a wrap around deck with fire pit and pool, with outdoors that make it look like a park property. They even have a private path to the beach below. Overlooking the Atlantic Ocean is the 18,673 square feet Palm Beach mansion bought by Howard Stern back in 2013 for the price of $52 million. It’s a lavish 12 bedroom home, with a 1,000 square feet closet for his wife and an amazing oceanfront pool. Unfortunately there aren’t too many photos with Stern’s Palm Beach home out there. 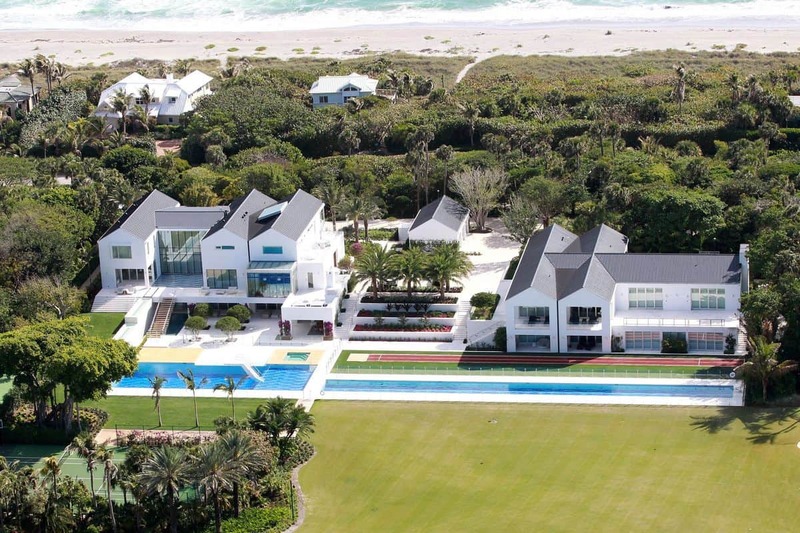 Tiger Woods owns a $54.5 million custom built home, a gorgeous 10,000 square feet oceanfront house that has everything. Among the features, there are four putting greens with bunkers, studio, running track, basketball and tennis court, a 60 feet diving pool, 100 feet lap pool, spa and boat house. The interior boasts 4 bedrooms, a glass front elevator with superb ocean views, a wine cellar, theater and game room. Tom Cruise has a home to match his movie roles. 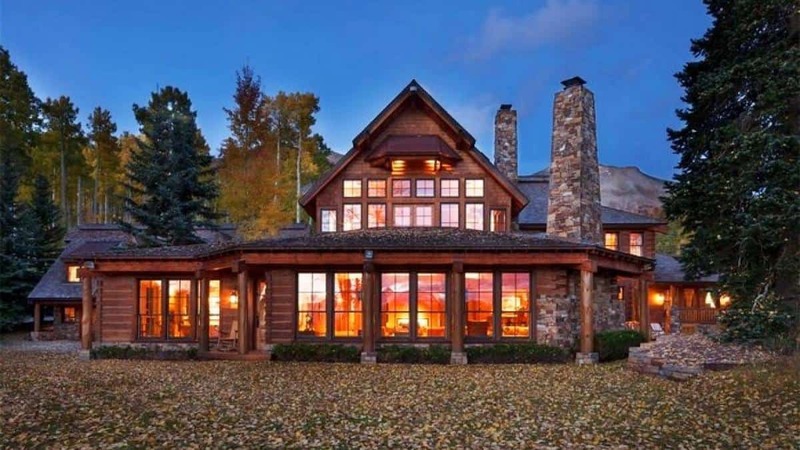 It’s a 10,000 square feet house that spans 298 acres near Telluride, CO, surrounded by panoramic views of the mountains. The home boasts floor to ceiling windows, with cedar timber flanking the walls and ceiling, and a gorgeous fireplace. There’s the ubiquitous home gym, a rec room and a library. On the outdoor side of things, the home features a private trail system, basketball, tennis and hockey court, private motocross track and a guesthouse with 3 bedrooms and 3 bathrooms. Jay Z and Beyonce own a whooping $88 million compound in Bel Air. It’s a 6 structure estate, with a 30,000 square feet main house, boasting 8 bedrooms and 11 bathrooms, an entertainment building, 15 car garage, plus several pools and basketball court. In addition, they’ve got a helipad, in house spa and fitness center, a huge living with 40 feet ceilings, sliding glass walls to connect the interior with the outside space and bullet proof windows just in case. 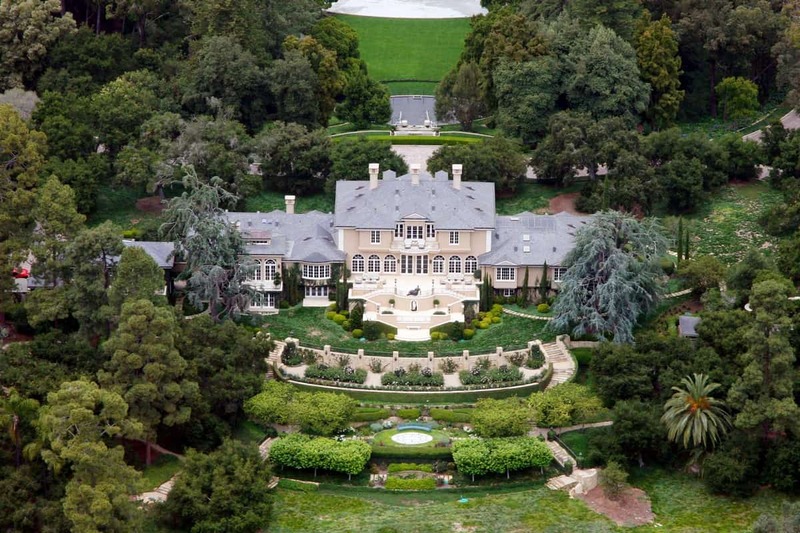 The famous Oprah Winfrey got herself ‘The Promised Land’, a 42 acre property in Montecito, CA. The mesmerizing Neo-Georgian style house features no less than 6 bedrooms and 14 bathrooms, gourmet kitchen, wine cellar and theater and several gorgeous terraces. Equestrian facilities are also present, with riding rings, paddocks, covered stalls and top notch stable and barn. For the human guests, there’s a pool, two outdoor fireplaces, several ponds, an avocado grove, koi pond and rose gardens, teahouse and entertainment area. The estate costs a good $88 million. 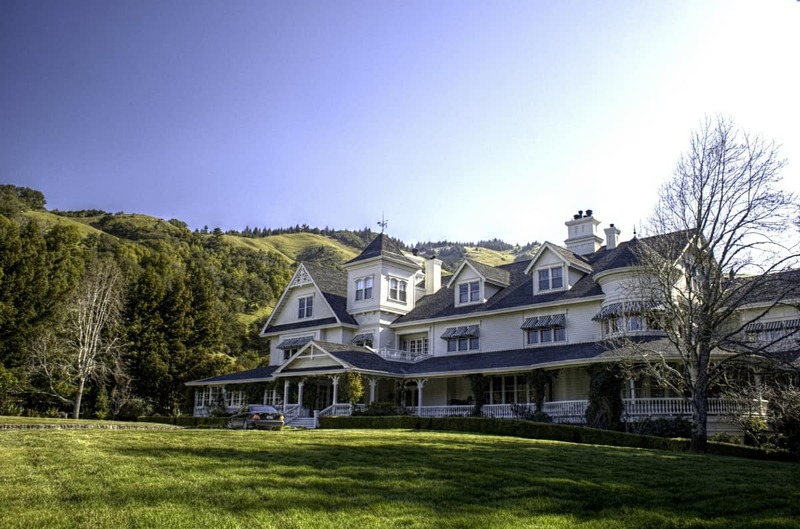 The world famous film director George Lucas bought himself a magnificent 4,700 acre property dubbed the Skywalker Ranch, back in 1974. The huge estate took around $100 million in total after all the renovations and updates made over the years. The property, located in the Marin County, CA, is so secretive that not even past president Ronald Reagan wasn’t allowed to visit it during his mandate. What’s known so far is that the property features several buildings, a 300 seat theater, separate two story library, outdoor pool, underground parking for up to 200 cars, a super garden and enough vineyards. 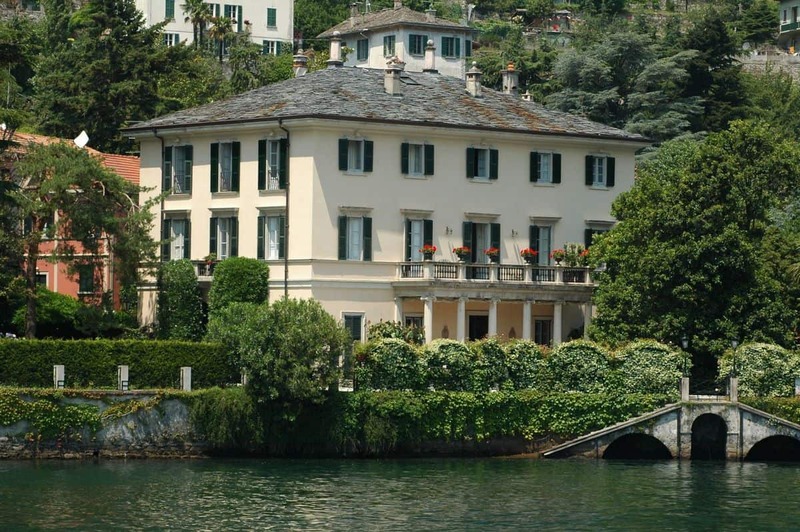 Named Villa Oleandra, George Clooney’s estate in Laglio, Italy, was built back in the 18th century and is situated on the banks of Lake Como. It has a charm of its own and features carved ceilings and tile floors and modern additions such as a full gym, immense spa like bathrooms and lush green landscape gardens, with outdoor pool, tennis courts and a garage for his motorcycles. The price of this marvel of a property rises to $100 million. 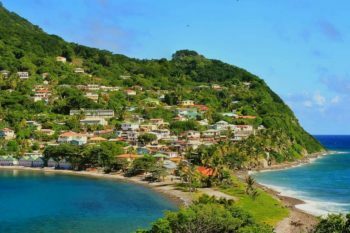 Though not your usual celebrity as the other names on this list, Bill Gates owns a magnificent lakefront property, called the Xanadu 2.0. It’s located in Medina, WA, and comes with 7 bedrooms and 24 bathrooms, spanning over 66,000 square feet. There are also 6 kitchens, a huge library with domed roof, fitness center, sauna and steam room, plus indoor and outdoor pools with underwater music system. As you would expect from such a person, the home is filled with high end technological features, like pressure sensitive floors for the security to know in every moment where everybody is located. Guests can only be invited inside after they are issued a microchip in a pin for their location to be tracked at all times, but which also gives them the possibility to change the temperature and lighting to match their preferences. The property also has a beach on Lake Washington, with sand brought all the way from Saint Lucia on a barge.